This is our 2012 Fall Pledge Drive Show and our subject is Genes Gone Bad, or do you have to be a genetic-mutant superhuman to play Paganini? Helping us answer that question is Boulder’s own and world-renowned Dr. Gregory Walker. And in a very special treat, Gregory plays the magnificent Paganini Caprice No. 24, live in KGNU’s Kabaret studio. 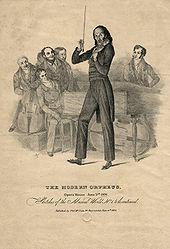 And we hear a bit of an interview with Sam Kean, author of the book, The Violinist’s Thumb, which inspired our show. We talk with Travis Metcalfe, of Boulder’s Space Science Institute, where he is searching for Sister Earth and also part of the Blue Dot Project. As for why, the past two decades have witnessed accelerating progress on one of the most fundamental questions in astronomy: Are we alone in the Universe? Astronomers have already discovered hundreds of planets around distant stars. 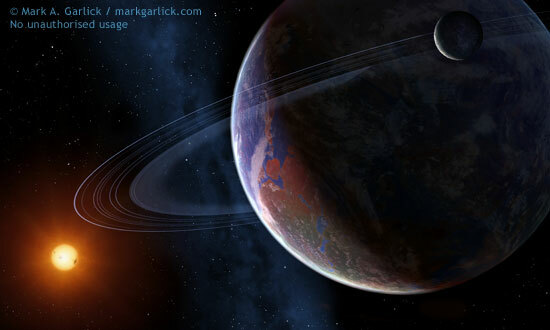 Some of them are nearly as small as the Earth, and orbit in the “Goldilocks zone” of their parent star where liquid water can exist. 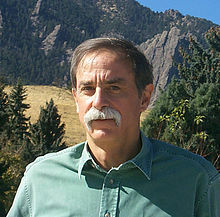 We congratulate Boulder’s David J. Wineland for winning the 2012 Nobel Prize in physics. 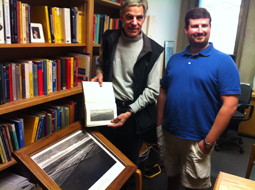 Wineland, a physicist at the National Institute of Standards and Technology and CU-Boulder, shares the prize with and Serge Haroche of France. They are credited with making breakthroughs in quantum physics by showing how to observe individual quantum particles without destroying them. These, in turn, are the first steps toward building superfast computers based on quantum physics. 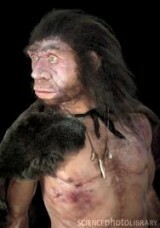 Our Neanderthal ancestors have long been maligned as rather dim-witted cave-dwellers. 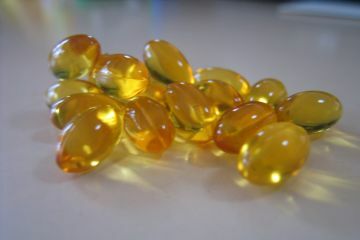 But they may have been brighter — and more colorful — more like us, shall we say. We turn to the BBC’s Science in Action for a look at new research into who these ancestors really were. Here’s BBC’s Jon Stewart. It may be hard for people living in Colorado and other land-locked states to grasp that our daily lifestyles – burning fossil fuels every time we turn on the lights or drive our car, for instance – affects the delicate marine ecosystems of the Southern Ocean, from the ice algae to the penguins and whales. And in turn, the health of the plants and animals, and indeed the ice they depend on, in Antarctica, affects our own health. 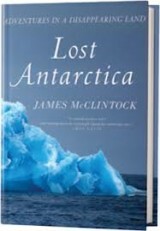 Cohost Susan Moran interviews Dr. James McClintock, a marine biologist at the University of Alabama in Birmingham, about his new book, “Lost Antarctica: Adventures in a Disappearing Land.” He shares his adventures waaayy down under, and his concerns about the future of the fragile and stunning continent. 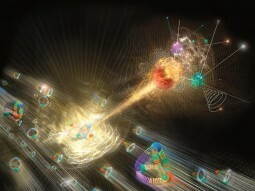 Higgs-Boson: What is all the excitement about? 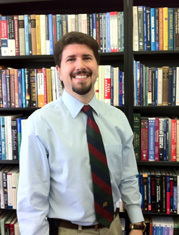 We’ll talk about the World of a tiny particle called the Higgs-Boson, with CU Physicist Uriel Nauenberg. 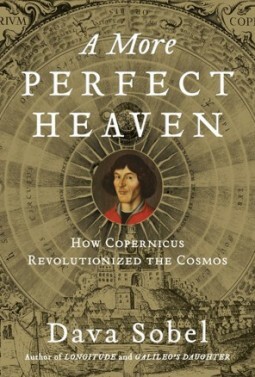 Nauenberg also speaks tonight at the Boulder Cafe Scientifique. Bell Labs thrived from the 1920s to the 1980s, when it was most innovative and productive institution of the twentieth century. Long before America’s brightest scientific minds began migrating west to Silicon Valley, they flocked to the Bell Labs campus in the New Jersey suburbs. At its peak, Bell Labs employed nearly fifteen thousand people, twelve hundred had PhDs. Thirteen eventually won Nobel prizes. How did they do it? How can we learn from their successes, so we can do it here in Colorado? New Your Times journalist Jon Gertner has written a book that provides some answers. 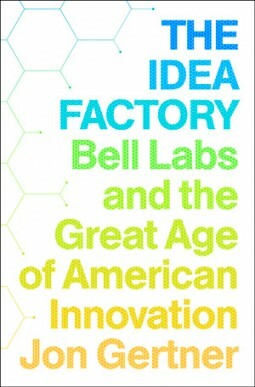 He calls it: The Idea Factory – Bell Labs and the Great Age of American Innovation. Inside that book, you can learn how radar came to be, and lasers, transistors, satellites, mobile phones, and much more. How on Earth’s Shelley Schlender spoke with Mr. Gertner about his new book. Curiosity’s RAD (start time 7:14). To design a successful manned mission to Mars, we’ll have to know a lot about the radiation environment between the Earth and Mars and on the planet’s surface. The Radiation Assessment Detector (RAD) instrument on Curiosity is designed to make those measurements. We talk with Southwest Research Institute’s Dr. Donald Hassler, the RAD instrument Principle Investigator, about RAD’s purpose, how the instrument works, and the joys and scary moments that come with working on Mars. Planetary science budget (start time: 15:49). Despite the successes of the Mars missions and voyages to our other planetary neighbors, the White House decided that NASA’s planetary science budget should be drawn down. 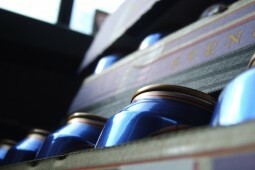 The hit would be substantial, a twenty percent reduction from 2012. 300 million dollars would be removed from a baseline one and a half billion dollars. We ask Dr. Alan Stern, who has served as the chief of the Science Mission Directorate at NASA, about why the planetary science budget should be restored.